Monday, February 29th saw a special event take place at the chapel of Saint Marys Hospital in down town Rochester, Minnesota, when the Dalai Lama addressed Mayo Clinic staff in a special event which was livestreamed on the Internet and into Second Life, using the Mayo clinic’s in-world facilities. The address, entitled Compassion in Healthcare, followed on from the 80-year old spiritual leader, who has been undergoing period treatment for prostate cancer at the clinic, speaking for 3 hours – twice what had been planned – before a crowd of 3,000 people in Minneapolis on Sunday, February 21st. That event was to mark the Tibetan New Year, and his Holiness’ address, delivered in English and Tibetan, focused on valuing education and compassion. The February 29th address was introduced by Mayo Clinic President and CEO John Noseworthy, and moderated by Minnesota TV and radio host Cathy Wurzer. 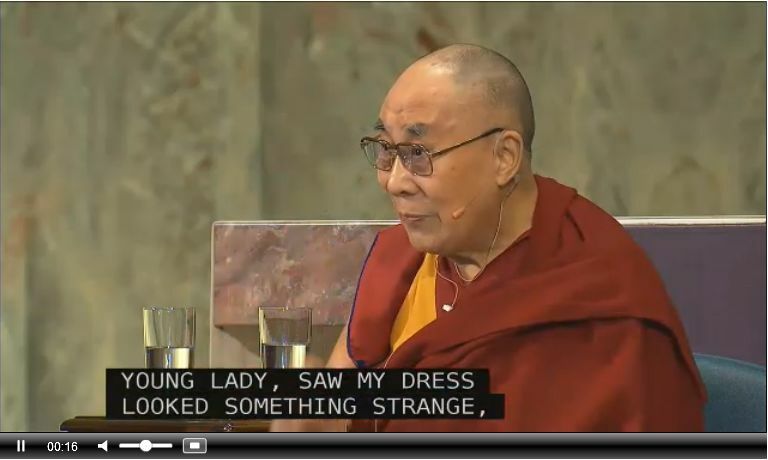 As the address began, both Ms. Wurzer and the Dalai Lama were represented in-world by avatars at the Mayo clinic’s Second Life conference centre. In both cases, care had been taken to ensure the avatars resembled their flesh-and-blood counterparts. While I missed the first part of the session, when I did arrive, some 80 people from across Second Life were in attendance, and the Dalai Lama himself sounded energised and related stories with good humour and aplomb through his address, and responded to questions from the audience at the venue, it was not clear to me if any questions were taken from the in-world audience. While some be tempted to critique the event on the basis that the avatar in-world was not actually operated by the Dalai Lama, they would actually be missing the point. While his holiness may not have been operating the avatar, being seated in the chapel of Saint Marys Hospital, the thoughts and words steaming into Second Life were his, and as such, the event offered a means for people who might never otherwise get to hear him speak, listen to and appreciate his wisdom in an almost first-hand way. The address, with a question and answer session, lasted a little over 90 minutes. The livestream is currently being archived by the Mayo Clinic, and the event was also filmed in-world. I’ll update this article when either video is publicly available. with thanks to Maxwell Graf for the nod! Cool VL Viewer updated as follows: Stable version to 1.26.16.14 and Experimental branch to 1.26.17.12, both on February 27th (release notes). 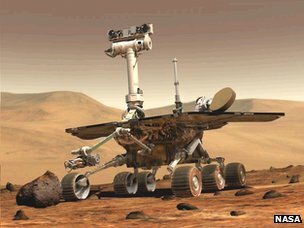 Spirit, one of NASA’s two solar-powered Mars Exploration Rover (MER) missions, may have ceased communications with Earth on March 22nd, 2010 and the mission declared over on May 24th, 2011, but its science legacy lives on. Originally designed with a 90-day primary mission duration, Spirit massively exceeded this, ranging across Mars for a distance of 7.73 kilometres (4.8 mi) over 1,944 days of mobile operations before becoming bogged down in a sand trap on May 1st, 2009, almost 5.5 years after it had arrived on Mars, after which it operated as a stationary research programme for a further 751 days. During its mobile period, Spirit explored a small rocky plateau dubbed “Home Plate” in 2007 / 2008. Whilst exploring the rock, the rover imaged several peculiar small rock formations resembling cauliflower or coral. Analysis by the rover’s Mini-Thermal Emission Spectrometer (Mini-TES) revealed the formations to be almost pure silica (SiO2), a mineral associated with volcanic environments. Silica is formed when water (rain or snow) seeps underground and comes into contact with rocks heated from below by magma. Itself super-heated by the rocks, the water is vaporised and rises back through the ground, dissolving silica and other minerals as it does so, which it deposits around the vents or fumaroles it uses to escape back into the atmosphere. Warm, rich in silica and minerals, on Earth these fumaroles and vents become havens for bacterial life which is known for creating curious bulbous and branching shapes in silica formations here on Earth which are strikingly similar to those imaged by Spirit. Such is the similarity, that planetary geologist Steven Ruff and geology professor Jack Farmer, both from Arizona State University, have been carrying out detailed studies in the high Atacama Desert, regarded as the most arid non-polar region on Earth, harbouring conditions thought to be very similar to those of ancient Mars. In particular, they have been investigating the remote geyser fields of El Tatio, some 4.3 km above mean sea level in an environment which has much in common with the Gusev Crater region of Mars, where “Home Plate” resides. This includes being exposed to high levels of ultraviolet light from the sun and extreme temperatures. 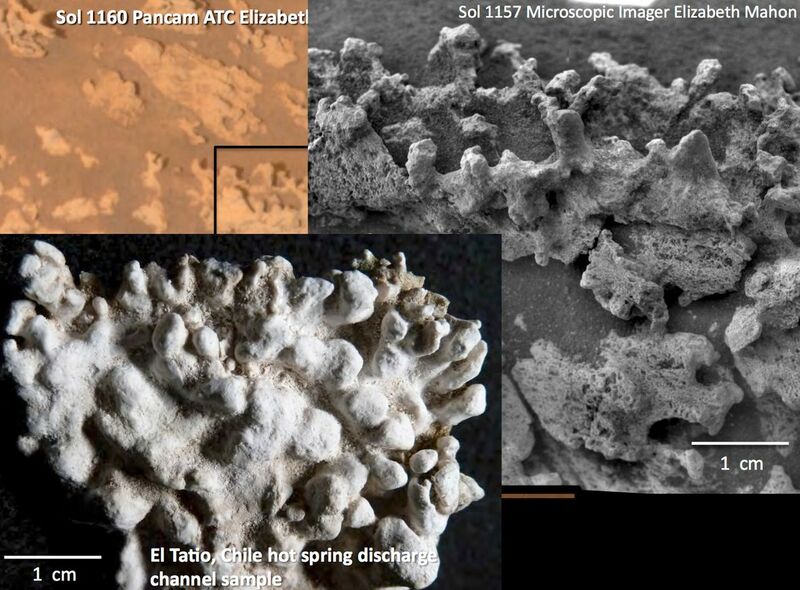 Their investigations revealed forms they call “micro-digitate silica structures” which are both remarkably similar to the formations on Mars, and to those found around fumaroles and vents at lower altitudes here on Earth which are formed by bacteria. While the pair have yet to come up with definitive evidence that the El Tatio formations are the result of microbial activity, they believe the objects may be “micro-stromatolites”. Nornally of a much larger size, stromatolites are formed by bacteria “cementing” mineral grains together to form a thin layer. Over time, these layers accumulate one over the last, forming a laminar mound or rock. The oldest stromatolites on Earth are estimated to be some 3.5 billion years old, a time when both Earth an Mars may have shared much closer atmospheric and geological similarities. So, if the formations found at El Tatio do prove to be the result of bacterial activity, then it offers a hypothesis that the formations on Mars may also have been the result of bacterial activity. In January, I wrote about NASA’s surprise decision to award an extended contract for uncrewed resupply missions to the International Space Station to both of the existing contract holders, SpaceX and Orbital ATK, and to Sierra Nevada Corporation, who will use an uncrewed variant of their Dream Chaser space plane. At the time I wrote that update, reader Devin Vaughn indicated an interest in learning more about Dream Chaser, which has an interesting heritage. As I noted at the time, the vehicle had been one of four private sector contenders to fulfil the role of “space taxi”, ferrying up to 6 at a time from US soil to the ISS. The idea being that by spinning-out the ISS crewed flights to the private sector (with financial support from NASA), the US agency could focus its manned space flight development programme solely on the Orion / SLS programme, which is intended to form the nucleus of US (and possibly international) crewed mission ventures well beyond Earth orbit. 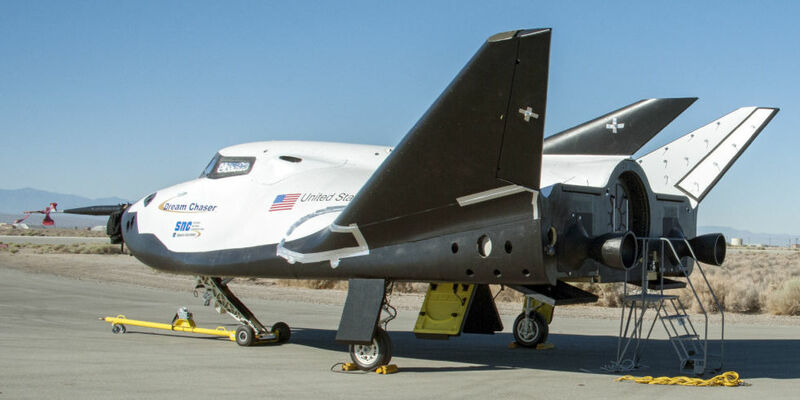 Dream Chaser ultimately wasn’t selected for the crewed mission contract – which caused some friction between Sierra Nevada Corporation and NASA when it was announced in 2014 – but the US space agency continued to work with SNC to help develop the vehicle, with the Dream Chaser Cargo variant being the result – although SNC has not given up on developed the crewed version of the vehicle. Dream Chaser Cargo is designed to fly up to 5 tonnes of cargo to / from orbit. This can be both pressurised and unpressurised material, and the vehicle includes the ability for unpressurised cargo to be directly transferred from its cargo module to the exterior of the space station should this be required. As with the original crewed variant, Dream Chaser Cargo will launch atop a rocket, but return to earth to make a conventional runway landing, the latter greatly speeding up the transfer of returned cargo (e.g. science experiments material, etc.) from the vehicle to its intended destination. Caitlyn and I recently received an invitation to visit the new home TerpsiCorp ARTWerks, a relatively new art and performance company in Second Life. The invitation was extended by the company’s founder and director, Cassie Parker (nanki Hendes), and we were more than delighted to accept. TerpsiCorpsARTWerks has been established with an ambitious vision to become a major force for performance art in Second Life, offering the potential to forge connections between performance art in the physical and virtual worlds whilst also supporting the arts in Second Life. It a fascinating piece to read, tracing the creative process that led Cassie from a casual introduction to in-world performance art and the SL art scene as a whole, through the formation of TerpsiCorps ARTWerks to their first in-world performance in September 2015, and onwards to the founding of their new base of operations at TerpsiCorps Isle. The forcal point for this new home is a magnificent sky platform which officially opened on Sunday, February 21st. Designed by TerpsiCorp’s Artistic Director, Chrissy Rhiano, assisted by Cordelia Cerise, it is largely built along the lines of classical Greek architecture and is a work of art in itself, offering a range of public facilities in celebration of the arts. Visitors to the centre arrive on a stone-paved avenue lined with olive trees and alcoves featuring the nine muses. This is bookended by two stunning theatres, one of which, The Theatre of the Nine Muses, continues the classic Greek theme, its entrance presided over by Terpsichore, one of the nine muses of dance, and from whom the company takes its name. At the other end of the avenue is the Belly Dance Pit, a structure of distinctly Arabian influence, offering an intimate theatre in the round design and which hosts performances of conventional and other styles of belly dance. Between the theatres, and set back within lush wooded groves, lie three gallery spaces. Two of these are respectively dedicated to the work of Molly Bloom and Bryn Oh, while the third is offered to emerging artists within Second Life. Most recently (at the time of writing) this housed an exhibition by Lantana Silverweb, who is also the company’s official photographer. Also accessible from the central avenue is the Dionysus Workshop Pavilion, offering both a workshop space and room to host music events. Nor does it end there. Reached via two flagstone paths flanking the entrance plaza to the Theatre of the Nine Muses, lies the Trail of the Muses: a walk designed by Cordelia Cercise which takes you around the theatre through eight shrines dedicated to each of the remaining muses. Within the lush wooded gardens there is more so discover: wildlife in the form of giraffe, elephant, caribou, and deer, as well as glades and water features. The official opening of these facilities was marked by a performance of the company’s Gothic Opera at the Theatre of the Nine Muses. Such was the interest in the event that some 80 people were in attendance, with more wishing to see it. To this end, an encore performance is to be staged on Sunday, February 28th at the theatre, with curtain up at 19;00 SLT. 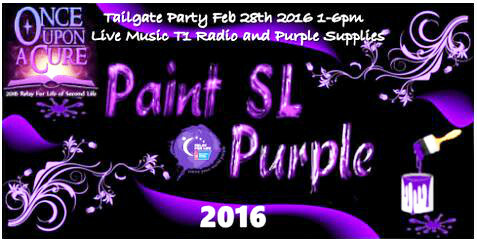 However, if you do plan to attend, an earlier arrival might well be in order to secure a seat. There is still some work to be done in support of the company’s activities; as I mentioned to Cassie (although she was already aware), the platform could benefit from some discrete information boards, or have gallery name boards and production advertising offer information note cards. These, I gather will be added. There are also plans for an associated website, but for now the best place to find out more on the company is via its Facebook page. All told, this is a fabulous and fascinating venture, and I genuinely look forward to both witnessing more of TerpsiCorps ARTWerks activities as they continue to develop both their productions and the region, and to reporting more about their activities through the pages of this blog. 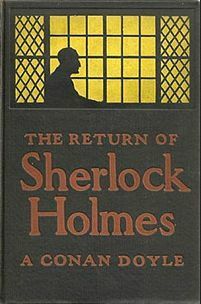 The Adventure of the Solitary Cyclist finds Holmes and Watson embroiled in a conundrum of a case when they are visited by Miss Violet Smith, who has travelled up to London from Surrey to seek their advice. Having been left with very little money following the death of her father, Violet Smith and her mother are rather surprised to learn that they are being sought-out by two men recently returned from South Africa, a Mr. Carruthers and Mr. Woodley. They are an odd couple, about as alike as chalk and cheese: Carruthers seemingly a gentleman, and Woodley little more than an oaf and a bully. They claim to have known Violet’s Uncle Ralph whilst in South Africa, and report the sad news of his destitute death – and that he asked them to seek out his relatives in England and ensure their well-being. Violet finds this strange, given that her Uncle Ralph has gone unheard from for 25 years. Her concerns deepen as Carruthers offers her £100 a year – twice the going rate – to be his daughter’s live-in music teacher, allowing her to see her mother on weekends. When running away, it’s always handy to have some idea of where to run to. In Claudia Kincaid’s case, the ideal place is the New York Metropolitan Museum of Art. As her younger brother has money, Claudia decides he should come with her to help on the finances front. The museum proves an interesting place to settle into, but when the museum purchases what appears to be an early work by Michelangelo, a statue of an angel, for the unbelievable price of $225, Claudia and Jamie, her brother, find themselves taking on the role of investigators. Is the statue genuine? Has the museum bought itself a bargain, or is the statue something else? Digging into the matter, Claudia and Jamie are led to the remarkable Mrs. 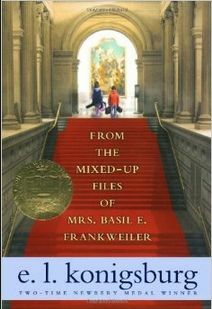 Basil E. Frankweiler, former owner of the statue and the owner of some remarkable files which promise to led Claudia into some discoveries about herself. Join Caledonia Skytower at Magicland Park as she reads from E.L. Konigsburg’s engaging story. Gyro Muggins returns to the universe created by James H. Schmitz and given form through his 1949 novel, The Witches of Karres, as he concludes reading the 2004 sequel, The Wizard of Karres, penned by Mercedes Lackey, Eric Flint, and Dave Freer. So why not join Gyro as he once more traces the adventures of Captain Pausert and his companions, Goth and the Leewit, the Witches of Karres. Caledonia Skytower reads Pam Muñoz Ryan’s Newbery Honour novel. 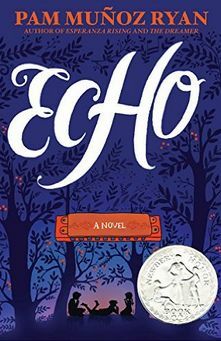 Three entwined stories focusing on a magical harmonica, which start with the tale of 12-year-old German boy Friedrich. He dreams of being a conductor; so much so that he cannot stop his hands rising to guide the music only he can hear. Such public displays, coupled with the birthmark which disfigures half his face leads to him being shunned and regarded as his peers as being Monster Boy. Faced with this, and the rising threat of Hitler’s National Socialists, Friedreich is determined to gain entry to the local music conservatory, but while preparing for his all-important audition, he happens across the harmonica. Playing it, he gains strength and courage to face those who shun him and the rise of Hitler’s power. But as each day brings some new threat, the chances of Friedrich achieving his dream, or even keeping his family together, grow more and more faint. 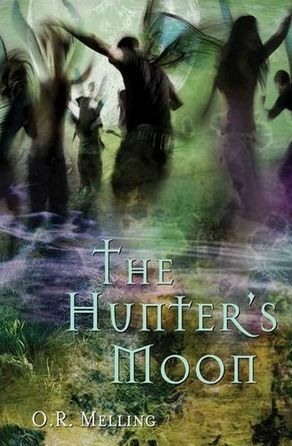 Whilst camping out, Finn is kidnapped by the handsome Faerie king, and Gwen must rescue her. In attempting to do so, she travels between modern day and mystical Ireland. And when she does finally reach Finn, she finds her biggest challenge might be actually persuading her cousin she is in need of rescue! The featured charity for January / February is Heifer International, working with communities to end world hunger and poverty and to care for the Earth.